Who's been looking for wine distributed in alternative packaging to bring along during hiking, cycling, boating, or fishing trips? I know I have. 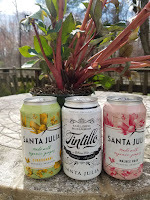 And I recently received a strong contender from Winesellers Ltd. a trio of wines packaged in 375ml cans (SRP $5.99). 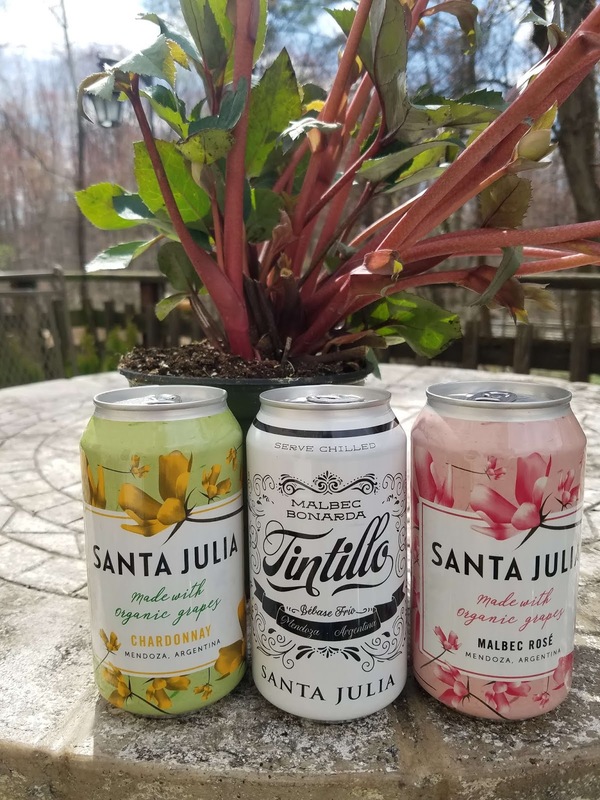 The wines are produced by Santa Julia, an Argentine brand that leverages their Mendoza location. The winery practices certified organic vineyard management, thus two of these wines are labeled Organic. The Organic Chardonnay provides a classic unoaked Chardonnay flavor; very refreshing with subtle depth and sufficient acidity. The Organic Malbec Rosé behaves again as expected, refreshing with layers of strawberries. However, the red Tintillo is the most interesting as the 50-50 blend of Malbec and Bonarda is fermented using carbonic maceration -- a process where the grapes are fermented intact order to achieve a fruitier wine. It's also designed to drink chilled, or mildly so in my opinion. A fun wine. Labels: Argentina Wine, Bonarda, Chardonnay, Malbec, Rosé, Santa Julia, Winesellers Ltd.